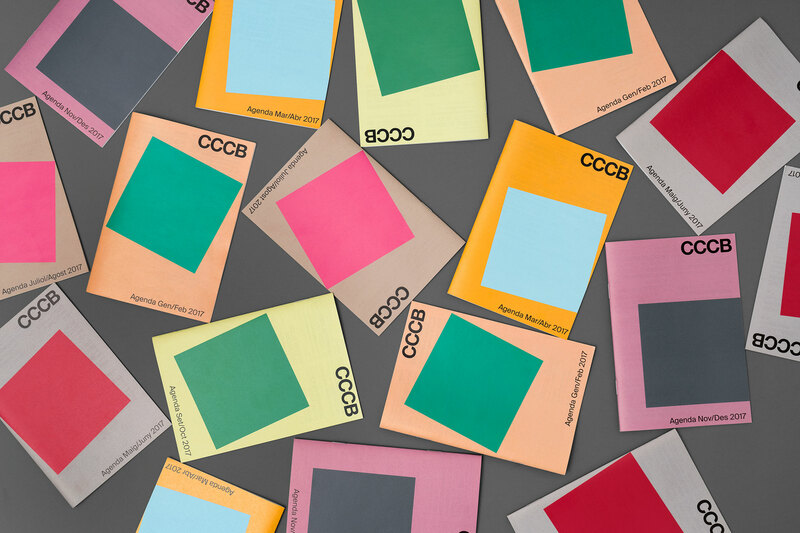 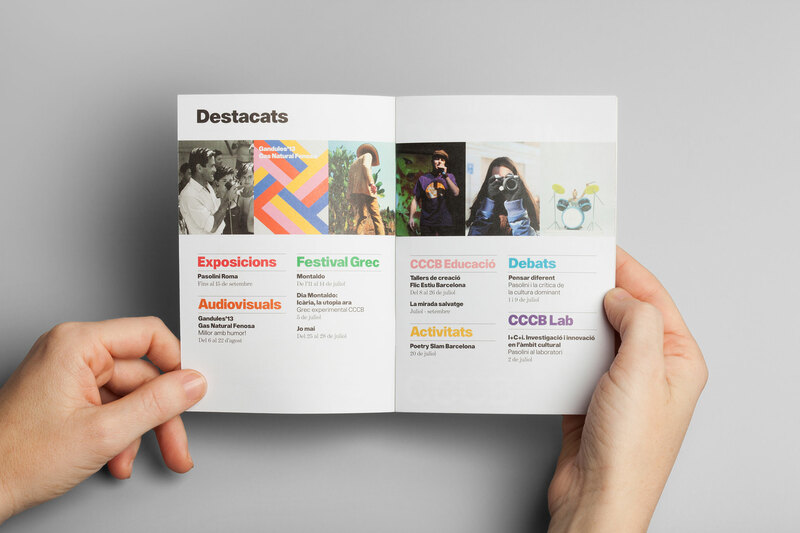 The Centre de Cultura Contemporània de Barcelona (CCCB) is a space for multi-disciplinary contemporary culture and also an long-standing client of Hey. 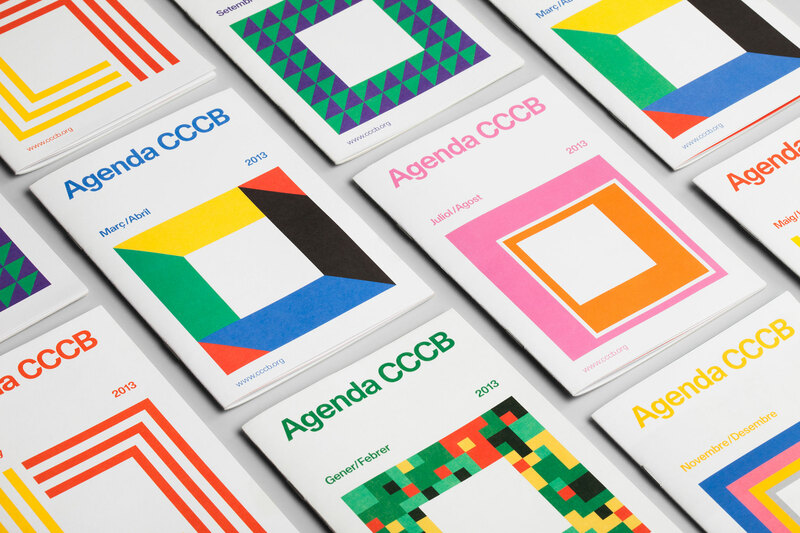 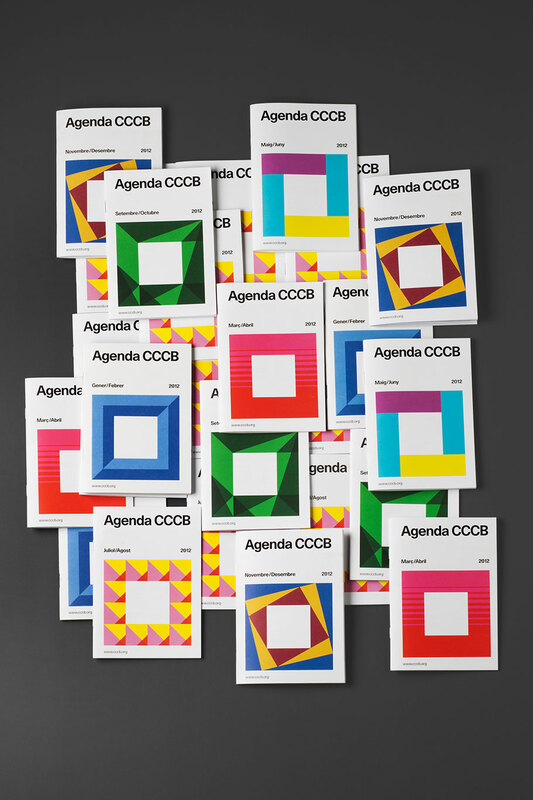 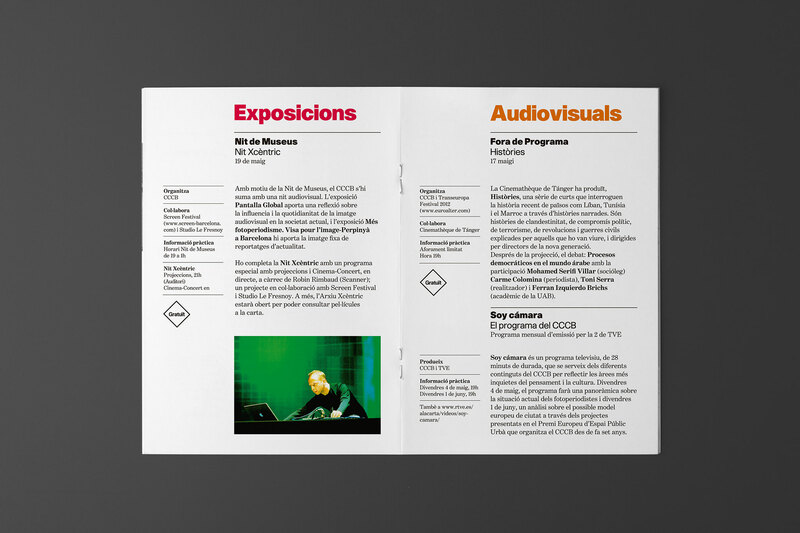 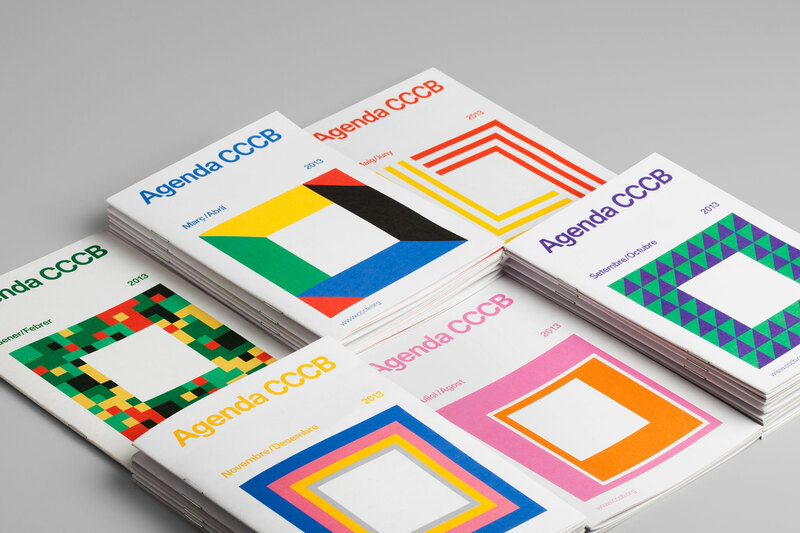 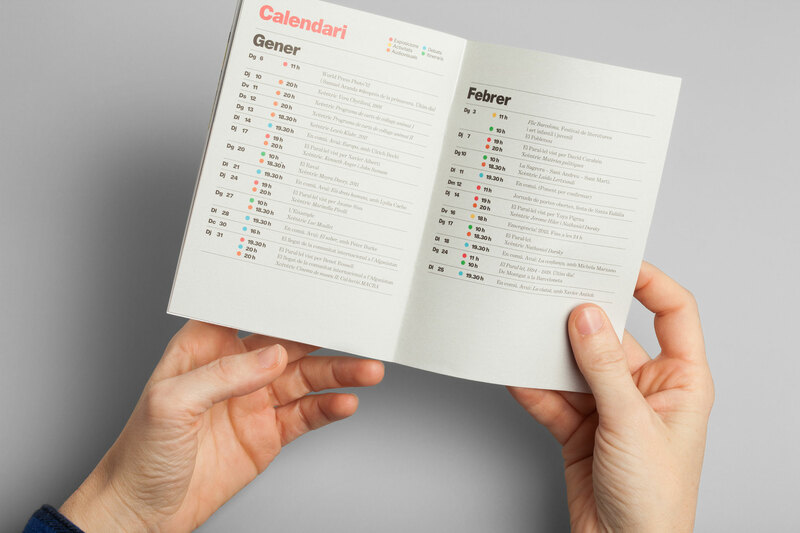 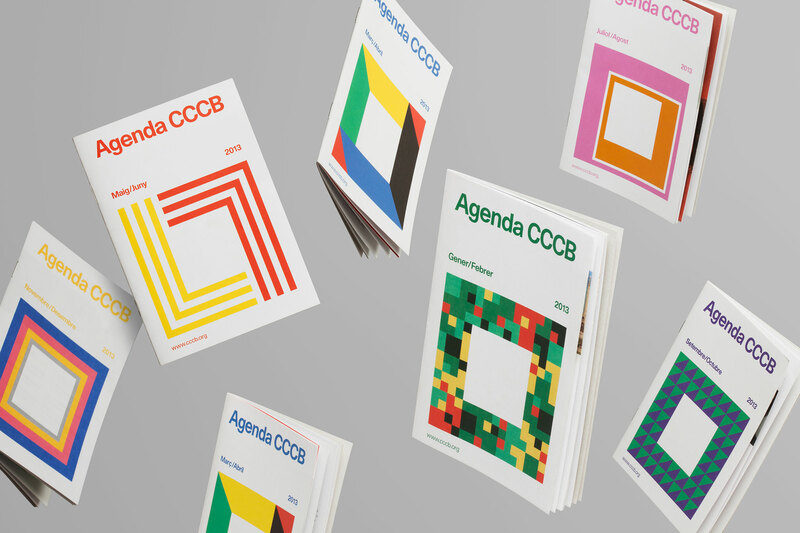 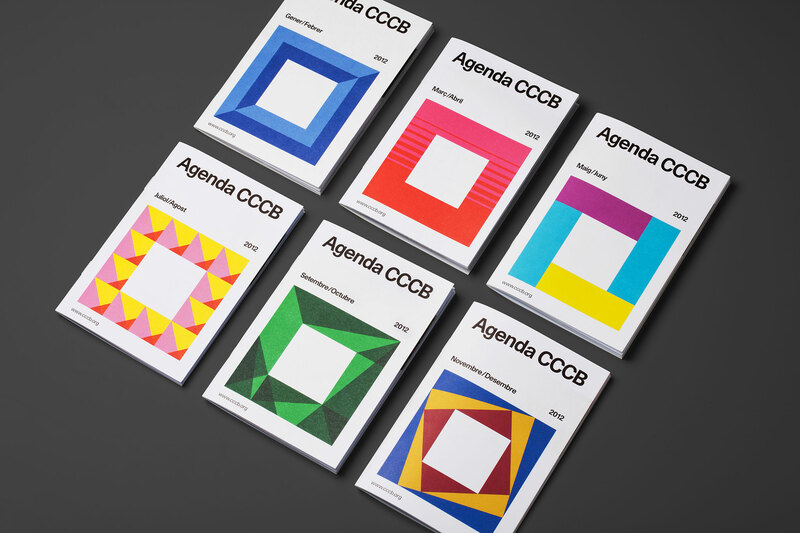 In 2012 we were commissioned to design the bi-monthly programme of events for the Barcelona Contemporary Art Centre. 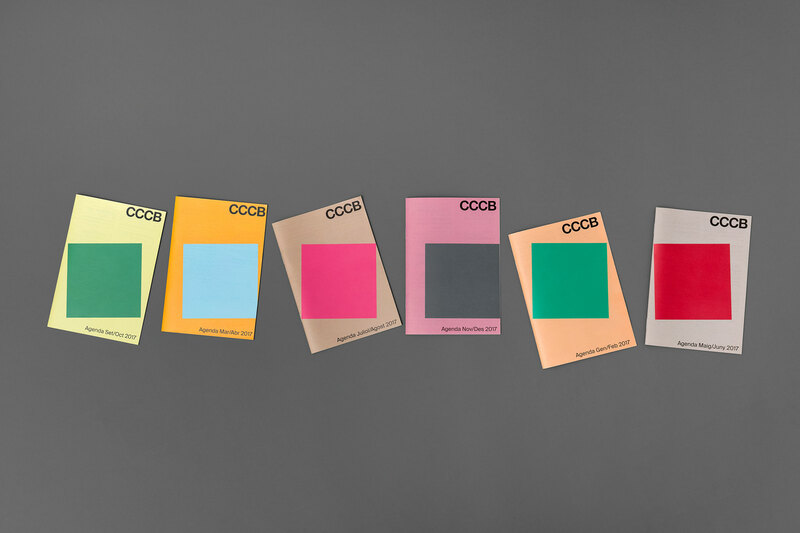 The concept came out of seeing the museum as a receptacle for contemporary ideas. 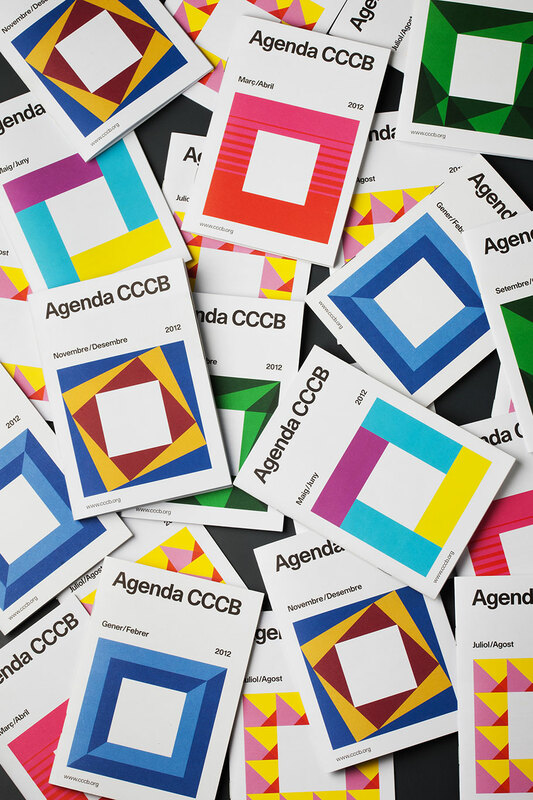 The square on the cover is the CCCB building seen from above. 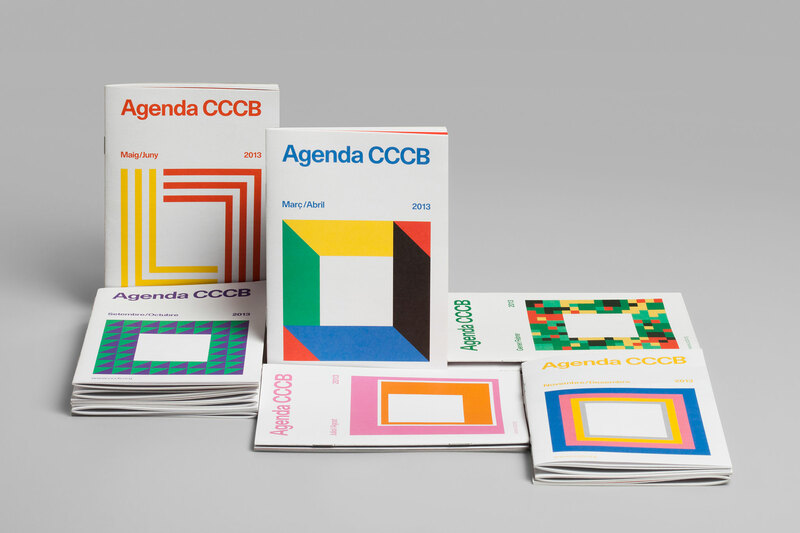 The aim was to create a design that can last for 5 years without losing its appeal. 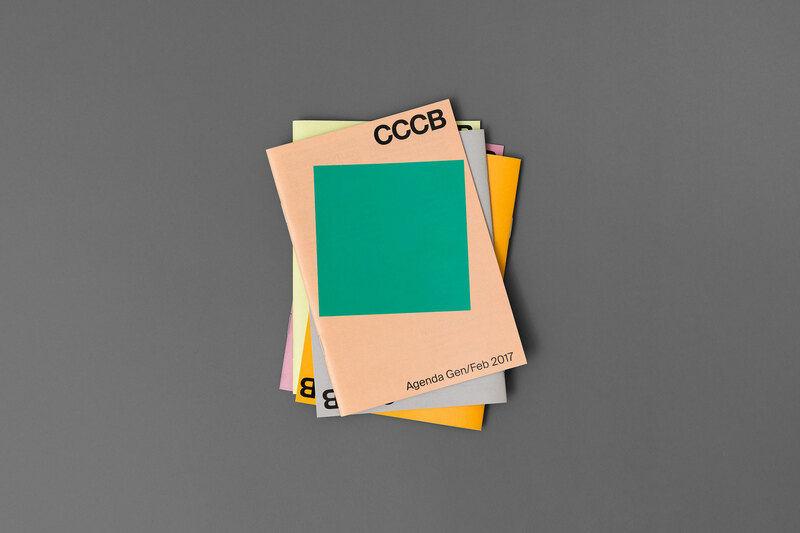 The first version had lasted for five years with the concept coming out of seeing the museum as a vessel for contemporary ideas. 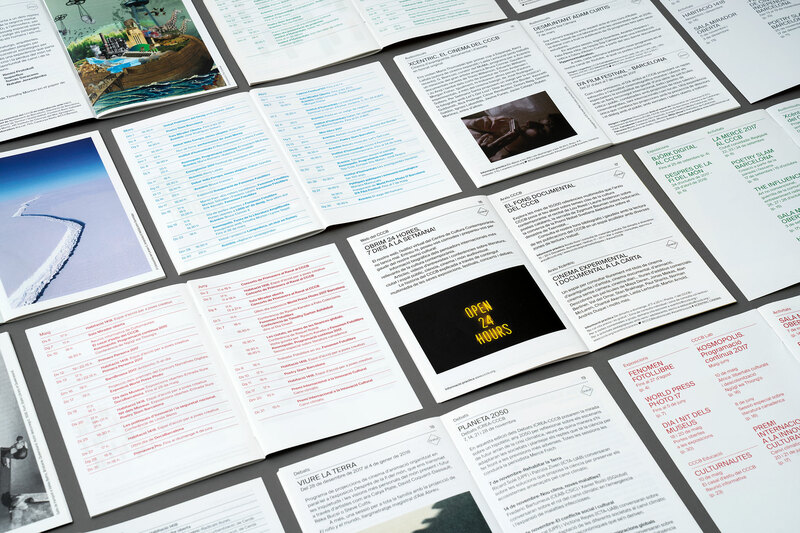 In 2017 they asked us to review our design of their bi-monthly printed programme. 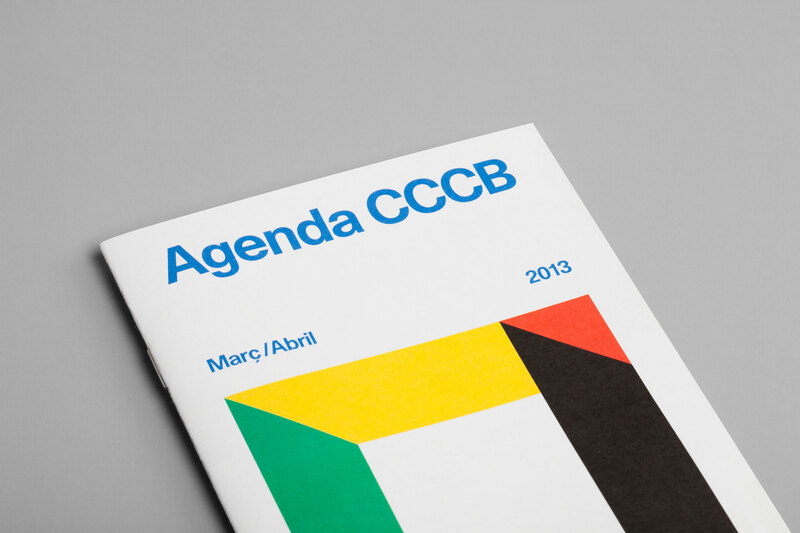 The CCCB were looking to refresh the design but wanted to retain continuity with the existing style. 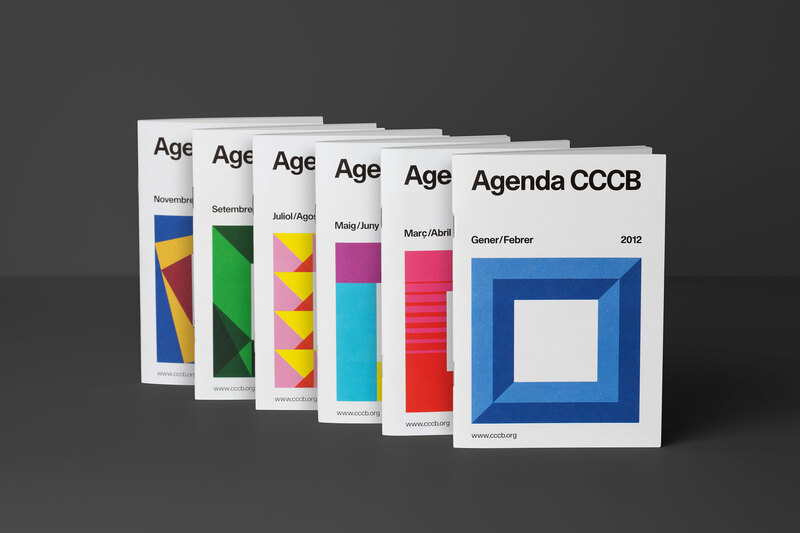 For the cover we kept the idea of representing the shape of the building as a square. 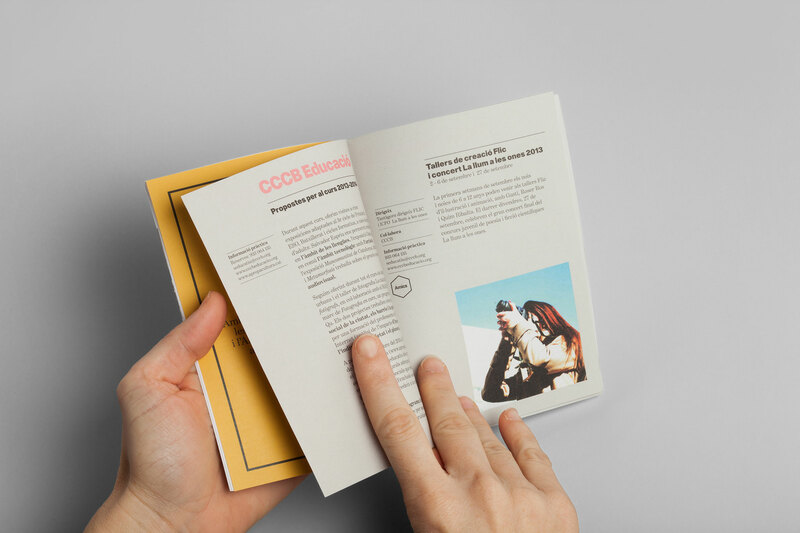 This time though the figure moves in the space and takes a different position from one edition to another. 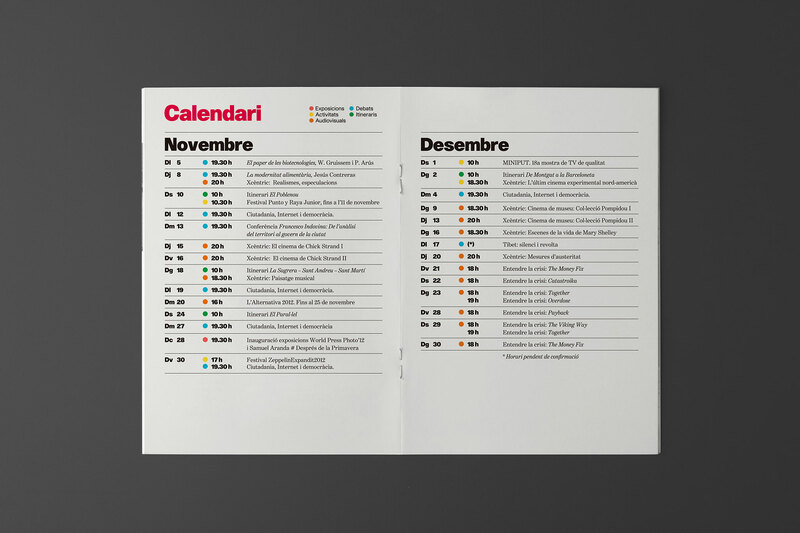 It represents the busy and active nature of the institution, the multidisciplinary nature of their activities, and the way they have evolved over the years. 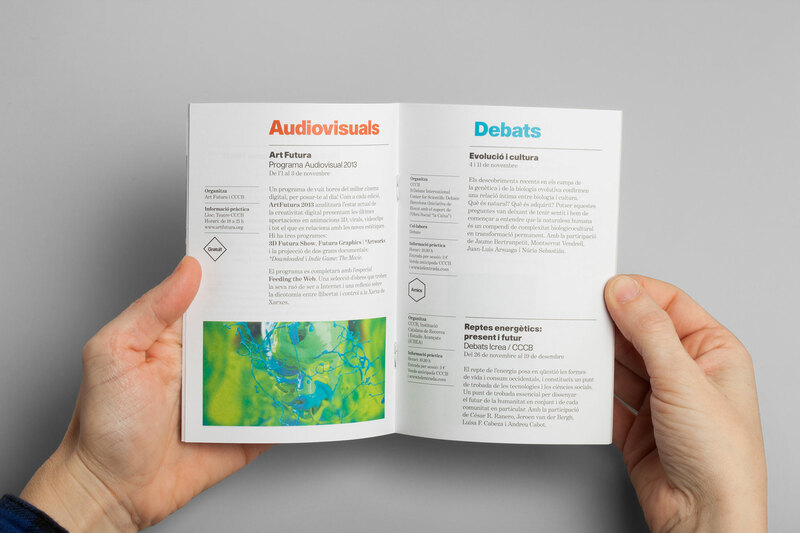 Inside the leaflet there is now a more flexible grid and the information is laid out with a clearer hierarchy of categories.